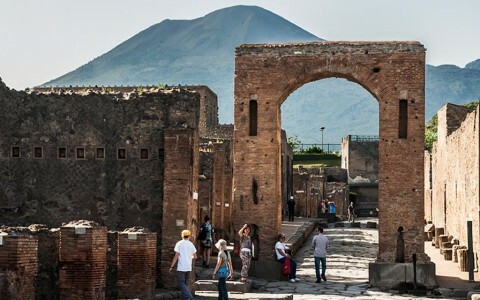 The visit to the ruins of Pompeii requires an adequate time: we have to imagine to go into a real town where, somehow, everything is interesting. In Pompeii we are in a context where everything tells us something, everything is original, everything is authentic. Of course, a visit to the Forum, the monuments, the most beautiful houses and full of works of art is the most interesting part, but everyone can find, by walking through the streets of the ancient city, a source of fascination and interest in line with their tastes, interests, curiosity, culture. Pompeii ruins are managed together with those of Oplonti, Herculaneum, Stabiae and Boscoreale and you can buy a combination ticket. The 5 sites: Pompeii, Herculaneum, Oplontis, Stabia *, Boscoreale (valid for 3 consecutive days and only 1 admission / visit to site). 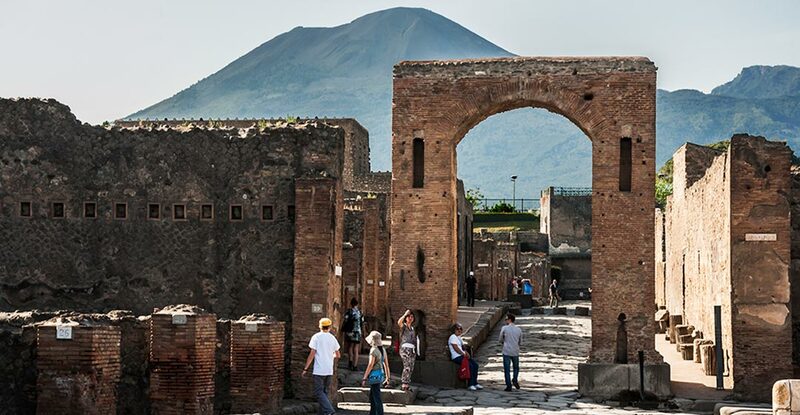 (**) The visit to the Ville di Stabia is free. Inside the excavations you can not bring your own baggage. The visit clearly requires comfortable shoes and clothing for a trip outdoors. If you are here in winter you should bring a K-way and a heavy jacket. In summers a hat is a must and a bottle of water at least. The visiting time is variable, but you have to imagine to dedicate at least four hours. The whole day allows you to see all the best and not lose too much. In the archaeological site there is a large and well-organized restaurant where to eat, to buy something at the bar, to relax and go shopping. It ‘a well-disguised as a building – we are the parties of the Forum – to avoid creating an effect of disorientation: it is a modern building, but everything is done to not emerge aggressively. The organization of the visit depends on the entry that you have chosen. A site map is essential, even if the route there are maps and directions. If you want to be led by a guide, you should turn to those authorized, which are more competent and obviously the most experienced and reliable. A guide book is obviously a big help: who does not possess it can buy in one of the many places outside selling souvenirs and books, or within the area, just in the roadhouse near the foro.